From what we’re seeing, beauty sleep is the latest workout trend - and we are so into itzzzzzzz. 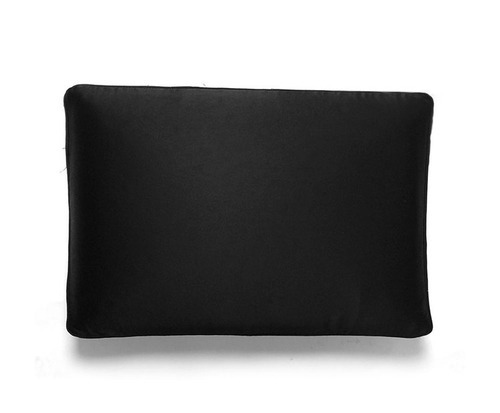 Consider this new pillow by NIGHT your new inactivewear. Two interesting entrepreneur types - a guy and gal who worked in the pillow industry and thought it was all fluff (har har) - created NIGHT to up the quality of your nocturnal headrest and your sleep - they put their “hearts, souls and personalities into every detail” and it shows. (The packaging is hilarious, so this also makes a great gift). A few things about this epic pillow - but you should read them all: it’s made from memory foam for a more supportive rest. It’s covered with tri-silk which is super-smooth and wicks moisture, supporting skin and hair health and minimizing pulling (wrinkles, hair breakage). It’s BLACK as the night is long and this sounds stupids but I swear this makes you sleep better. I had the most profound dreams the first night I tried this pillow! Freaky.